Kelsey Parker is a 21 year-old Biophysical Sciences major from Rocky Mount, North Carolina, which she claims is neither rocky nor mountainous. 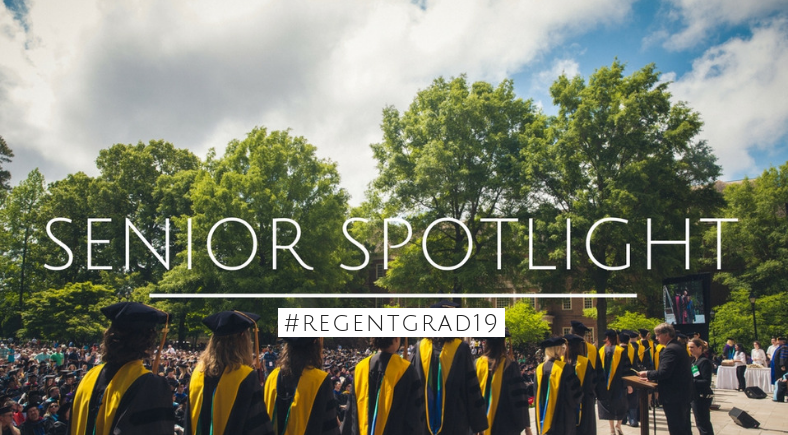 She found Regent online her senior year of high school and knew she had found her home when she first toured Regent. She cancelled her visits to other schools (including Liberty), applied and got accepted to Regent right away. Thank you so much Kelsey for taking time to share your experience and wisdom with us and congratulations on graduating!